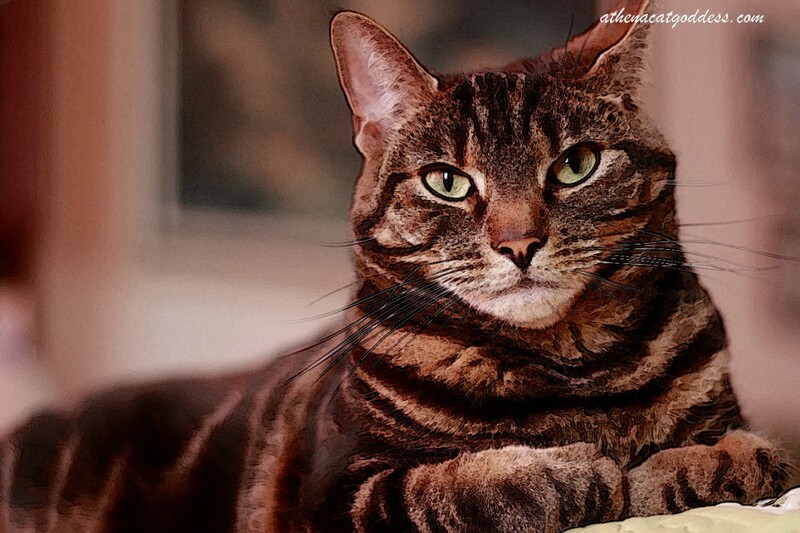 We tried a new online photo editor for this week's Caturday Art. It's called Tuxpi and this is the Painting effect. What a striking tabby beauty I am! A real tigress, am I not? Join the Caturday Art Blog Hop & Have Some Fun! I've never heard of that one but I'll definitely check it out! Exquisite, Athena! Athena1 Yous is the bestest TIGRESS EVER!!! You look so regal, Athena! Simply gorgeous! You are a lovely Tigress. Very nice! You certainly ARE a beauty! Athena you are the #1 tigress for sure! Athena ... tigress. I like that! Of course, you're beautiful but I like that effect too because it brings out those gorgeous green eyes more. Athena, you've a beautiful tigress. Love it and love YOU, beautiful Athena!